The Boot Pursuit starts NOW! 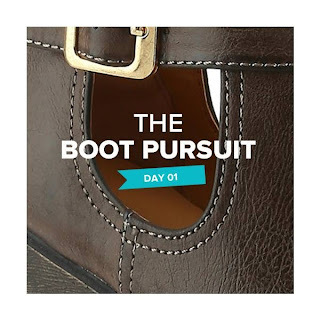 We’re posting a hint each day through Friday—it’ll lead you to a boot on dsw.com. Find the correct boot, and you could be one of 10 random winners each day who wins FREE SHOES! Ready to play? Here’s today’s hint: It’s a bootie with a chunky heel, chic cutouts, a cool buckle—and it’s from a brand with only three letters in the name! Make sure to check out all the other giveaways!